The self-confessed food critic cares not for fine dining with its tiny portions and fancy menus. She believes cooking is not difficult by any means and her request is simple – traditional food with local ingredients will do her just fine. Betty may not be a Michelin-starred chef, and her qualifications don’t come from a cookery school. 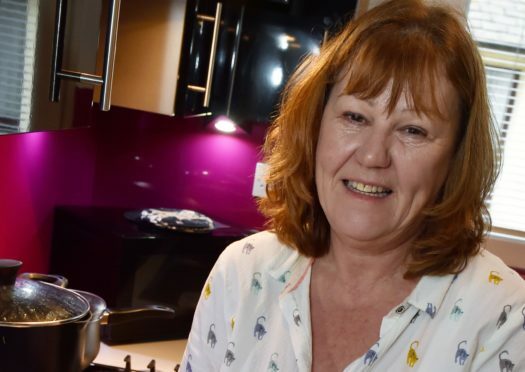 She has lived in Torry all her life and was not so much taught to cook by her grandmother as was raised watching her feed the community with soups and stews made from scratch. Betty has followed in her footsteps without even thinking about it and cooks for dozens of people every Friday night. 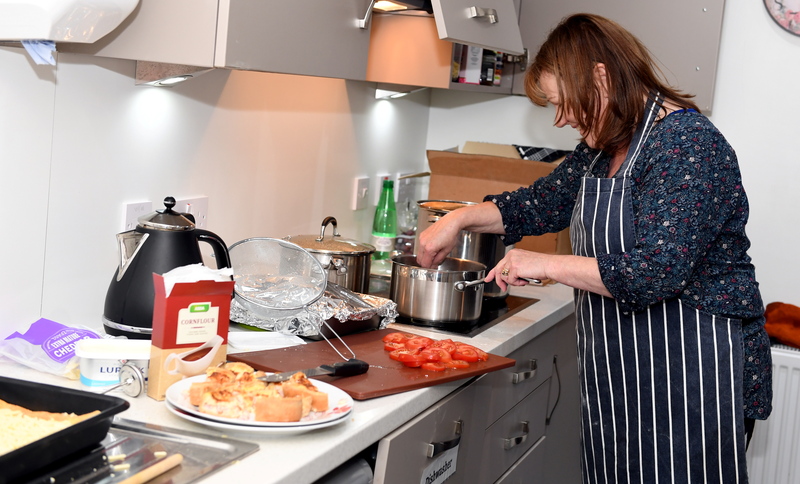 She is preparing for Christmas at the Go Green Torry Zero Waste Cafe, where she puts together a three-course meal with food which would otherwise have been destined for the rubbish tip. With help from volunteers, Betty is a force to be reckoned with and can easily feed 50 people with a delicious yet simple menu that is free of charge. The initiative has been running for one year and has helped people of all ages, from young mothers to the elderly who would previously have spent the night alone. 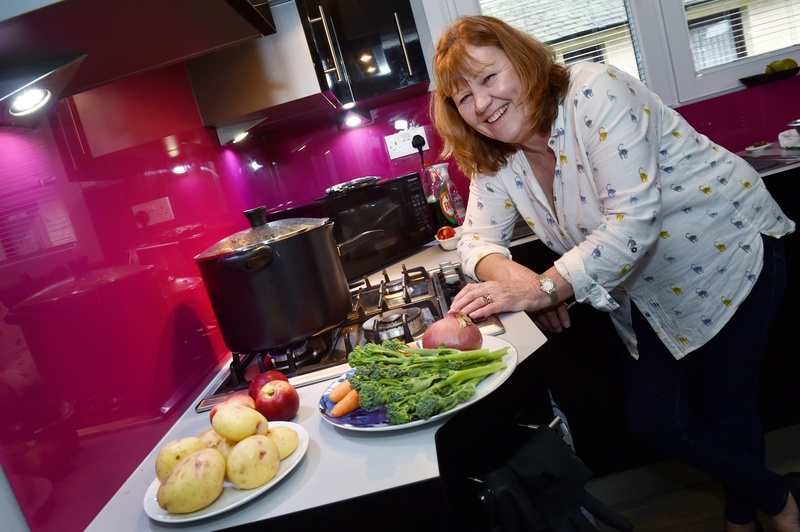 She was inspired to set up the cafe after learning of a similar project running at Robert Gordon University (RGU). The RGU GoGreen Zero Waste Community Cafe was launched two years ago. Students managed to save more than 110kg of food within two months of the cafe opening and have gone on to serve thousands of meals for free. Betty believed the concept would prove popular in Torry but had no idea quite how much the cafe would take off. “I didn’t have an expectation, I just thought we could give it a go,” she said. “With each passing week, more people have come through the door. “There’s even been times when I’ve been in the kitchen making omelettes because so many people have turned up. She is undecided whether she’ll open the doors on Christmas Day, due to a potential lack of volunteers. But if the cafe does go ahead, people can look forward to some of Betty’s homemade soup which she makes most weeks. The cafe has also enabled her to teach young volunteers how to cook, a skill which she believes many people sorely lack. “Cooking is not rocket science, yet somehow we have over-complicated it,” said Betty. “All these ready meals at the supermarkets are just pure rubbish. “I know that I’m a nightmare in a restaurant. “If a dish just isn’t right I’ll send it back and argue with the chef if needs be. “My grandmother was a fantastic cook. “She brought me up after I was sent to live with her when I was 12 years old. “I’ve lived on this street my entire life. “She never taught me to cook as such but I watched her because she was always cooking. “There was always a pot of soup on the stove in her house and her way of cooking was passed on to me. “I’d never put a pork chop on the grill, I’d always pot roast it. Betty doesn’t do small portions and although her two daughters are now grown up, she routinely pops round with Tupperware filled with stew. She also cooks for her neighbours. “I am used to cooking big meals,” she said. “The secret to cooking is patience and timing. “You can’t go wrong with a pot of soup – you’ve just got to get your timing right, that’s it. Once the food is plated up, Betty is a passionate believer that dinner should always be eaten round the table. “I raised my girls to sit at the dinner table and we are really losing that,” said Betty. “We always had a table, it’s the one time when you chat without your phone in your hand. 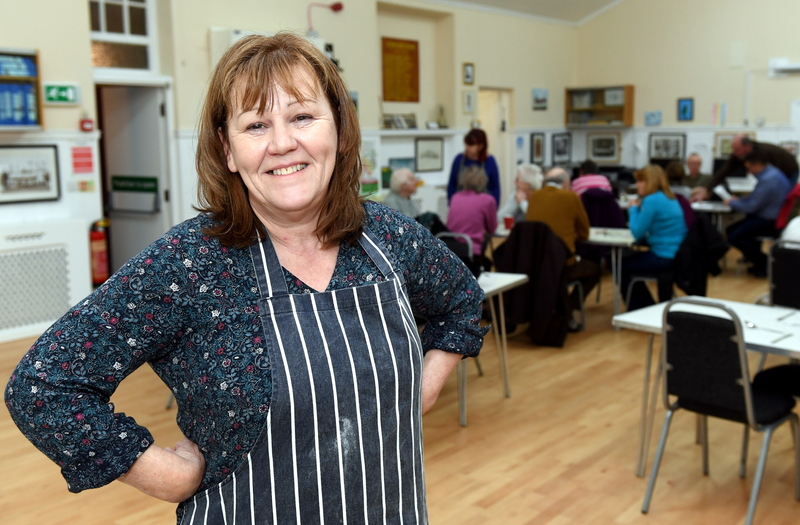 “Every Friday I see people coming together and socialising – it’s not just about the food. Betty’s oldest attendee at the cafe is 90 and the youngest is only four months old. She has no idea what the menu will be until the day before and collects food from CFINE (Community Food Initiatives North East). She is often given food that supermarkets have a surplus of, and once had the task of dishing out 7,000 cocktail sausages. “We made a hedgehog with them and we were giving people cocktail sausages to take home,” said Betty. “I waste nothing and that’s something I’m really passionate about. “The amount of food waste is obscene when there are people in Torry and Tillydrone who are going hungry. With careful planning, Betty believes a chicken can last a family for an entire week. Popular dishes at the cafe include fish pie, lasagne and beef stew. She uses local produce when possible and is teaching cooking skills to young volunteers at the cafe. “Cooking should still be taught in schools; youngsters come to me with no confidence and you can’t live on baked beans,” said Betty. “Cooking isn’t hard and I love seeing people grow in confidence in the kitchen. The Go Green Torry Zero Waste Cafe is held every Friday night at Old Torry Community Centre. It starts at 7pm and includes a three-course meal with vegan options. The kitchen is in dire need of a new cooker with hob. If you think you can help, visit the Facebook page: Go Green at the Old Torry Community Centre.